An essential part of your camping setup. 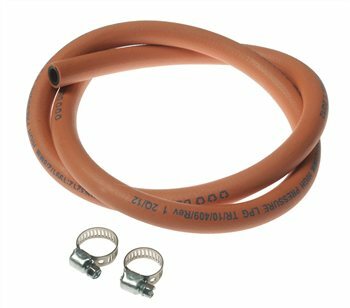 The Kampa Butane/Propane Gas Hose Pack consists of 1 metre of gas hose and 2 hose clips for use with most camping stoves, gas cookers, gas BBQs and butane or propane gas regulators with 8mm outlets. The gas hose will clip from your gas bottle to your stove, transporting the fuel and allowing you to cook up a great outdoor feast.